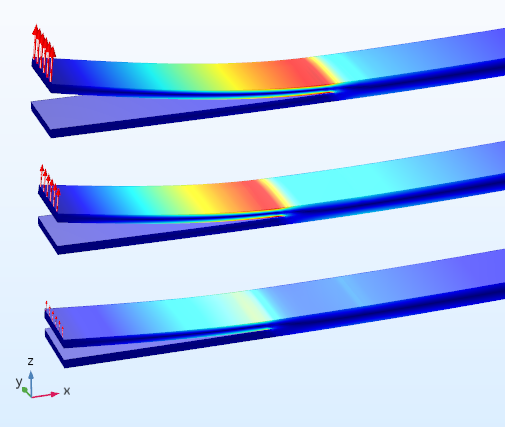 For users of the Structural Mechanics Module, COMSOL Multiphysics® version 5.2a brings a new Magnetostriction interface for modeling a wide range of sensors and actuators, a Poroelasticity interface to easily couple solid mechanics and fluid flow equations, as well as functionality to simulate adhesion and decohesion to analyze the behavior of objects sticking together or being pulled apart. 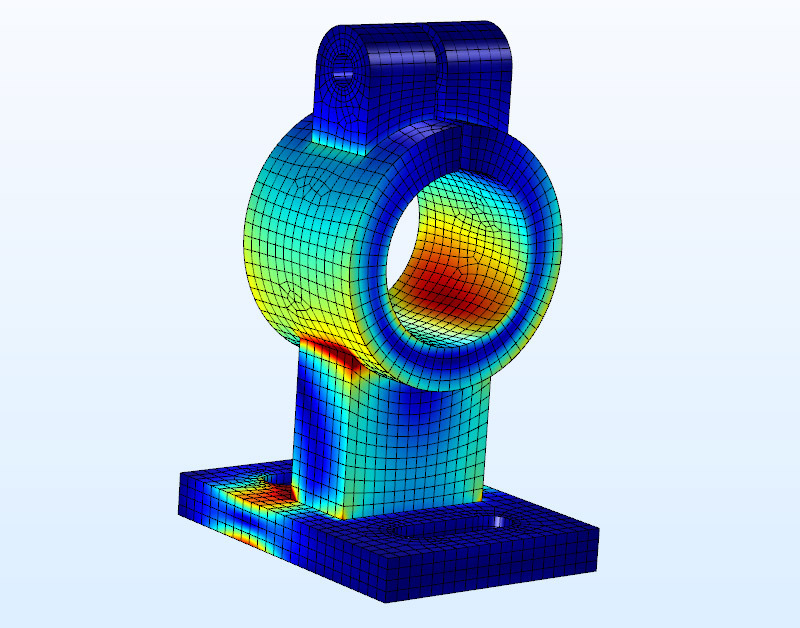 Find more details about all of the Structural Mechanics Module updates below. A new Magnetostriction interface has been introduced. 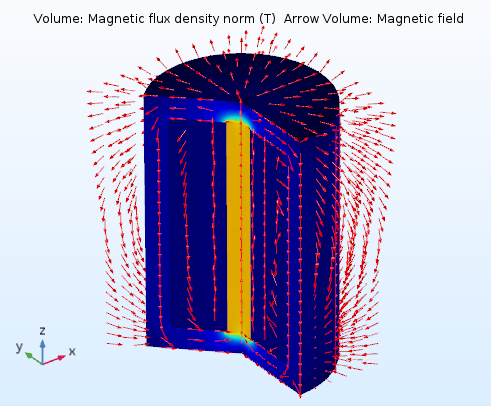 With this functionality, you can model a wide range of sensors and actuators based on the principles of magnetostriction. One magnetostrictive effect, the Joule effect, describes the change in length due to a change in the magnetization state of the material. This effect is used in transducers for applications in sonar, acoustic devices, active vibration control, position control, and fuel injection systems. The inverse effect accounts for the change in magnetization due to mechanical stress in a material. This effect is known as the Villari effect and is useful for sensors. When the Magnetostriction interface is added to a model, a Solid Mechanics interface; Magnetic Fields interface; and Magnetostriction multiphysics coupling, or series of nodes, are created. In the Solid Mechanics interface, a new material model, Magnetostrictive Material, has been added with three different formulations: Linear, Nonlinear isotropic, and Nonlinear cubic crystal. In the Magnetic Fields interface, the new Ampère’s law, Magnetostrictive feature is used when modeling a magnetostrictive material. NOTE: In order to model magnetostrictive behavior, you need the AC/DC Module along with either the Structural Mechanics Module, MEMS Module, or Acoustics Module. 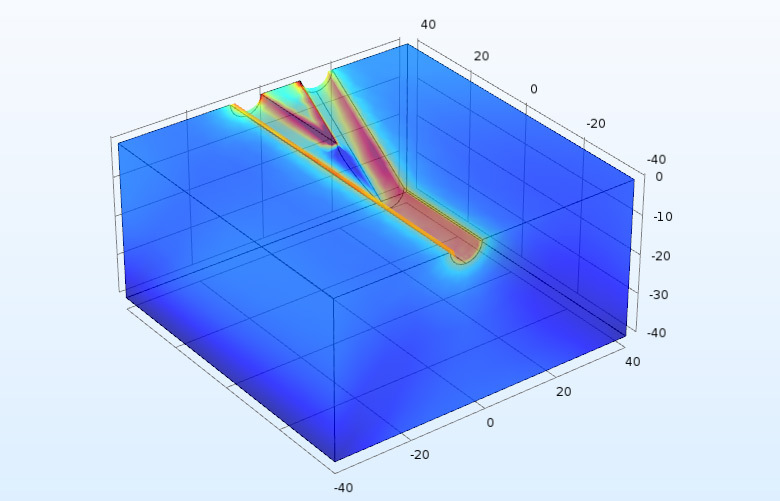 The Nonlinear Magnetostrictive Transducer example, found in the Application Library, uses the Nonlinear isotropic material model. There is a new Poroelasticity multiphysics coupling between Solid Mechanics and Darcy’s Law. When adding a Poroelasticity interface in COMSOL Multiphysics® version 5.2a, these two separate physics interfaces and the multiphysics coupling, as a series of nodes, are created. This gives you access to all functionality available in the constituent interfaces. As an example, you can now model poroplasticity by adding a Soil Plasticity node in the Solid Mechanics interface. 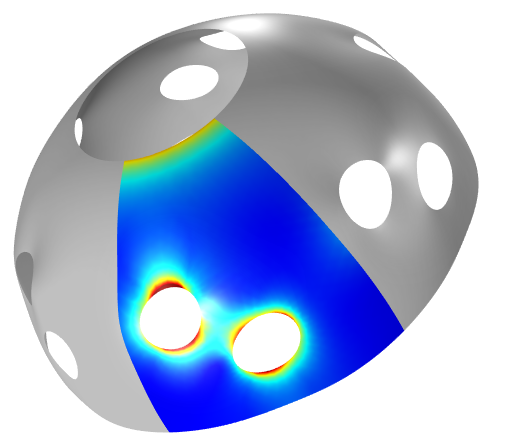 Stress distribution in a poroelastic analysis, from the Application Library's Failure of a Multilateral Well tutorial model. NOTE: In order to model poroelastic behavior, use the Subsurface Flow Module or a combination of the Structural Mechanics Module and a fluid flow add-on module that supports the Darcy's Law interface. 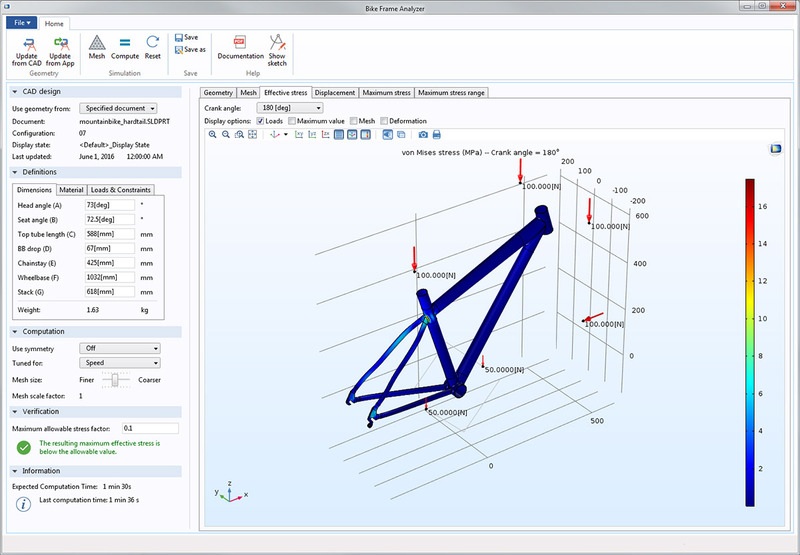 Using the new Adhesion subnode under the Contact node, you can analyze various manufacturing processes that involve parts sticking together and pulling apart. The contacting boundaries will stick together when a certain criterion has been fulfilled. This criterion can either be a contact pressure, a gap distance, or an arbitrary user-defined expression. The latter can, for example, be based on the temperature from a heat transfer study. You can also specify the elastic properties of the virtual adhesive layer. Two boundaries that are joined by adhesion can separate again if a decohesion law is specified. Also found within the new Adhesion subnode, and as part of its Settings window, is the ability to choose Decohesion. There are three different decohesion laws that are included in this subnode: Linear, Polynomial, and Multilinear. The decohesion laws allow mixed-mode decohesion with independent properties for the normal and tangential directions, a technique also known as a cohesive zone model (CZM). An example of adhesion. The cylinder contacts a surface, deforms it, adheres to it, and then remains adhered to it upon returning to the original position. A new Periodic Condition boundary condition has been added to the Shell interface that is similar to the corresponding boundary condition found in the Solid Mechanics interface. It allows for efficient modeling of periodic structures by coupling corresponding edges. There are five different selections for the type of periodicity: Continuity, Antiperiodicity, Floquet periodicity, Cyclic symmetry, and User defined. Using periodic conditions, only a 60-degree sector of this shell model is required to be solved. Elements of the so-called Serendipity type have been added to the Solid Mechanics and Membrane interfaces to complement the Lagrangian type. For models with predominantly hexahedral elements, using serendipity elements will provide significant performance improvements, run faster, and use less memory. Using serendipity elements is now the default when adding new physics interfaces. This model is solved using a structured mesh. 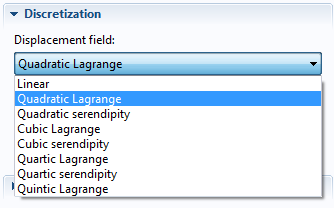 The solution time has been reduced by a factor of two by choosing the serendipity element option. As a Secant coefficient of thermal expansion. This is the default and the only method available in previous versions. As a Tangent ("thermodynamic") coefficient of thermal expansion. By explicitly specifying the Thermal strain as a function of temperature. By selecting the appropriate option, you can use different types of measured data without conversions. The new options are available in the Solid Mechanics, Membrane, and Truss interfaces. 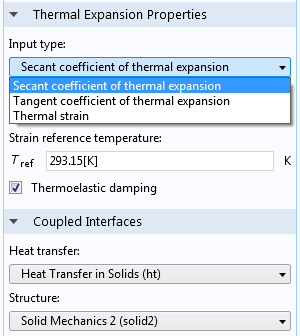 The Secant coefficient of thermal expansion option is used to compute a total change in strain when the temperature is changed from a certain reference temperature, . The Tangent coefficient of thermal expansion option provides information on the sensitivity of thermal strain with respect to the temperature: . At the reference temperature, the two values coincide. 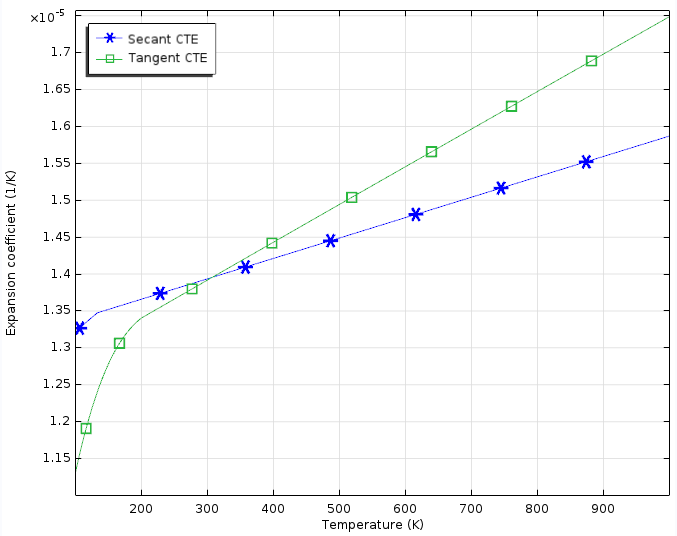 The Secant and Tangent coefficients of thermal expansion (CTEs) for gold, where room temperature is used as the strain-free reference temperature. You can now augment constraint conditions, such as Fixed Constraint and Prescribed Displacement, using a Thermal Expansion subnode. This makes it possible to relieve the stresses induced by constraints when the surrounding structure, idealized by the constraints, is not held at a fixed temperature. Similarly, a Thermal Expansion subnode has been added to the Rigid Connector and Attachment nodes, allowing for the thermal expansion of these otherwise rigid objects. When using this feature, you specify the thermal expansion coefficient and temperature distribution of the nonmodeled surroundings of the structure. The thermal strains caused by these factors are integrated to obtain a displacement field, which is added to the constraint. 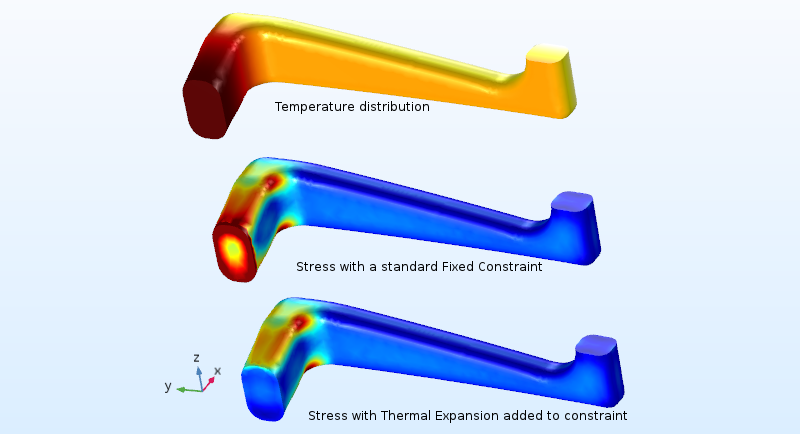 The effect of adding thermal expansion to a fixed constraint. The local coordinate system that is applied in the Shell interface has been improved. 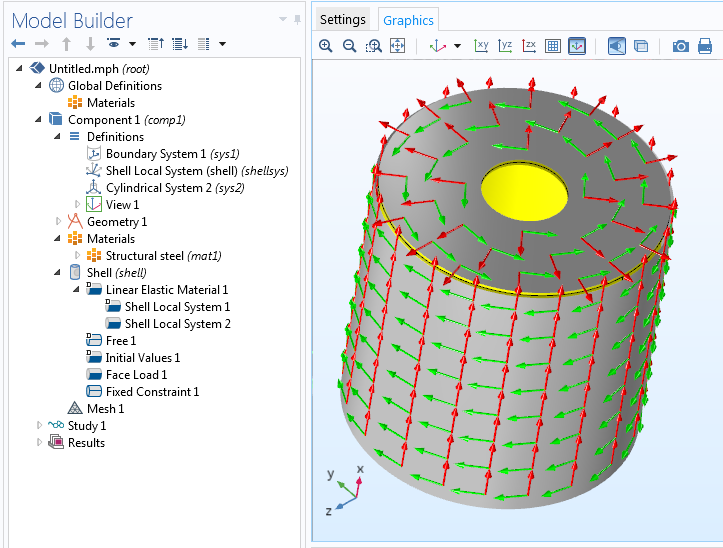 By moving the definition of the local coordinate systems to a subnode, Shell Local System, which is under the Linear Elastic Material node, it is significantly easier to use different material orientations with the same material data. A new node, Shell Local System, is also created under Definitions when a Shell interface is added. This system contains the local directions for all boundaries on which the Shell interface is active and can be referenced; for example, when setting up multiphysics couplings. 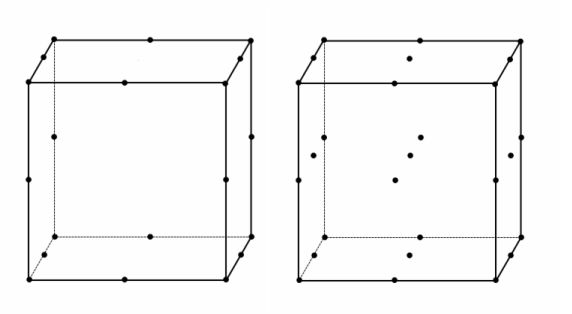 Two different local coordinate systems, one for the cylindrical surface and one for the flat surface.